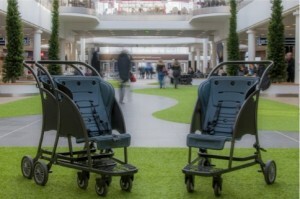 Beresford‘s first stroller was designed for now 15 years, how many visitors have used different models Kidbuggy during their visits to amusement parks or passage through airports? 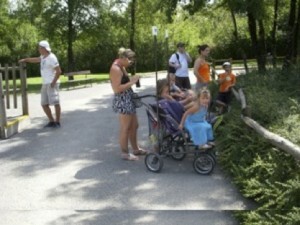 With over 5000 strollers sold, it’s easy to imagine millions of uses, without any accident. Designed for indoor or outdoor use, Kidbuggy Pro is specifically designed for airports, shopping centers, museums and stores. Conform to safety standards by the materials used and thanks to centralized linked brakes system on rear wheels , Kidbuggy Pro is robust , easy to handle , convenient with side hooks for bags and with a small footprint. Its composite seat thermo-compressed foam with side headrest and five-point harness combines comfort and safety. 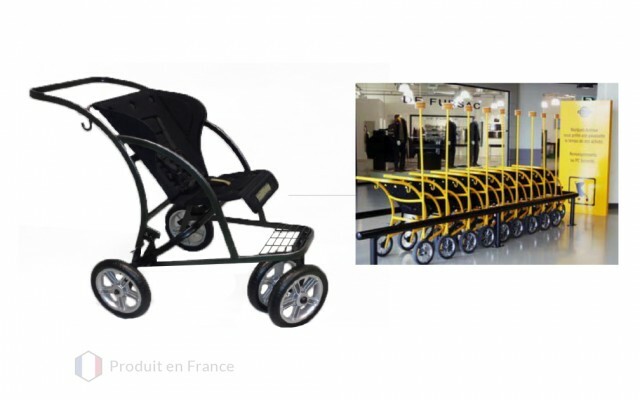 A rear platform to accommodate a child standing behind the seat or a luggage, is added to become the Kidbuggy Pro + 1 and even better service airports and train stations. Easy to clean and maintain , both models minimize storage space thanks to our nesting mechanism. Longer, wider and with large diameter solid EVA wheels , Kidbuggy All Terrain is designed for use on uneven grounds and remains easily manageable thanks to swiveling twinned front wheels . 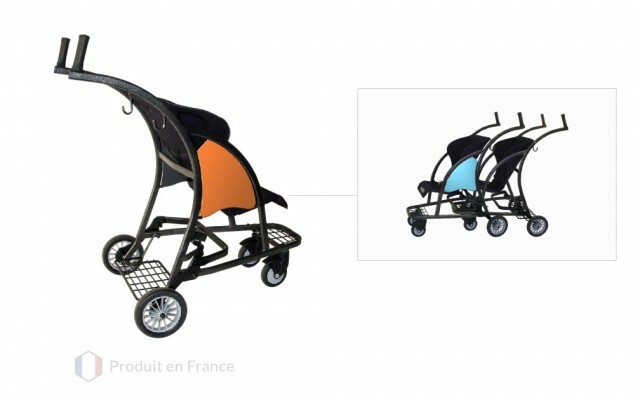 Always complying with safety standards by the materials used and thanks to centralized linked brakes system on rear wheels, Kidbuggy All Terrain retains the comfort and safety characterizing our strollers with its composite seat thermo- compressed foam with side headrest and five-point harness. Robustness, stability and maneuverability make it the prefered stroller of amusement or wildlife parks, campsites and holiday villages. Designed to facilitate part change and compatible with high pressure washing, Kidbuggy All Terrain is easy to maintain. Thanks to our unique nesting mechanism, their storage is optimized. Thanks to accessories, you can adapt Kidbuggy strollers to their place of use and possible specific constraints as well as to make them participate to your image by choosing the color of the frame and seat snap popper buttons. You can also co-finance investment taking advantage of the side panels for sponsor to advertise permanently or during special events.